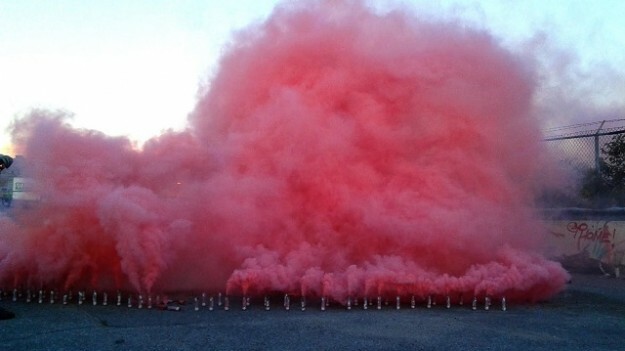 CHANCE ECOLOGIES: Pink Smoke, by Raphaele Shirley, 2015. Chance Ecologies Art Exhibition Explores the Soon to be Lost Wild Landscapes of Hunter’s Point South. Jeff Reuben, Untapped Cities, Dec. 23, 2015. A Dispatch From the Last Wild Days of Hunter’s Point South. Nathan Kensinger, Curbed, Dec. 17, 2015. Ben Pardee, Urban Omnibus, Oct. 6, 2015. Welcome To The “Secret” Wild Riverside Forest In Queens. The Abandoned, Wild Landscape of Hunters Point Waterfront in Long Island City. Untapped Cities, Aug. 25, 2015. Fabrizio Gallanti, Abitare, Nov. 2014. Flint Public Art Project seeks to replace blight with positive words for next neighborhood art parade. Scott Atkinson, Flint Journal, Oct. 22, 2014. Flint Public Art Project takes mission of reclaiming spaces to Art Prize. Scott Atkinson, MLive, Sep. 28, 2014. Scott Atkinson, Flint Journal, Aug. 17, 2014.